For many of us, a treasure of hidden material is stored within our memories, waiting for a way to come to the surface. Each exercise in The Path to Creativity can give writers a focused way to access the unique memories, ideas, and experiences that give our lives meaning. 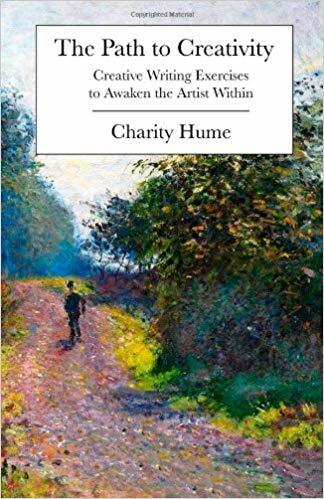 In this profound journey into the heart of your own imagination, you will discover a wealth of material you can transform into art. By writing, you will better understand the creative vision you are destined to share with the world. It is a journey filled with beauty and emotional power. There is no more important gift you can give your life, than exploring the path to your own creativity. CHARITY HUME is a writer, and a teacher with over thirty years of classroom experience in independent schools. Hume is a graduate of Yale University and received an M.A. in Creative Writing from NYU, where she was awarded a prize teaching fellowship. Hume returned to NYU in 1992 as director of the graduate creative writing program. While there she produced the NYU Creative Writing Series and wrote and administered a grant from the New York Times Foundation to initiate a partnership between NYC public school teachers and The New York Times Teaching fellows. She has published her work and commentary in journals and periodicals in the United States and in Europe. She was a radio co-host for The Winds of Change, a weekly spoken word program in Canada, and continues to contribute to Cultural Weekly, an online magazine for the arts. She is presently a dean at The Polytechnic School in Pasadena, California.